The paths in Japanese gardens have their own history. At first, ancient people built the territories outside the sanctuaries as the places where gods could be. The areas were covered with pebbles so that the grass couldn’t grow there. Later most attention was given to ponds and boat trips, not walking. That’s why it’s really hard to find any mention of the tracks in those ancient gardens. However, some ideas had been already used by that time: arched and flat bridges, use of pebbles for decorating the shores of ponds. Better-decorated paths started to appear in the Middle Ages (13th -16th centuries) when walking became as popular as boat trips. 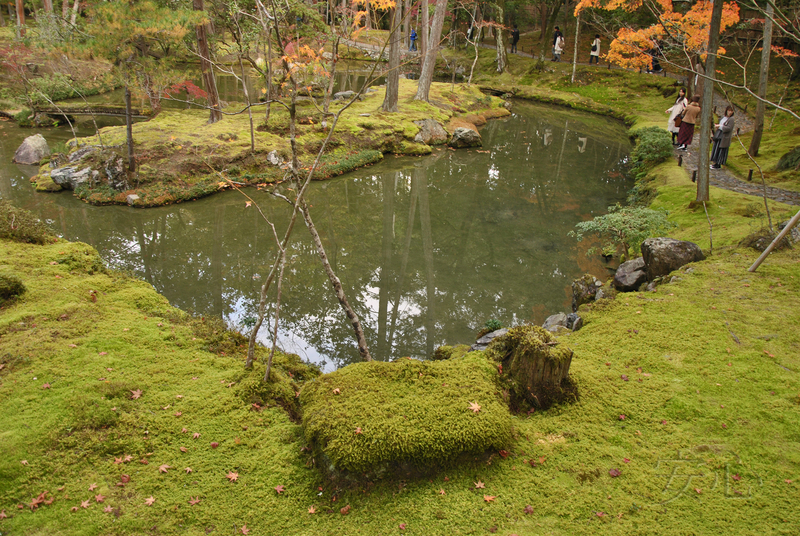 Famous garden Saihodji or Koke-dera(moss garden) consisted of two completely different parts divided by the gates. 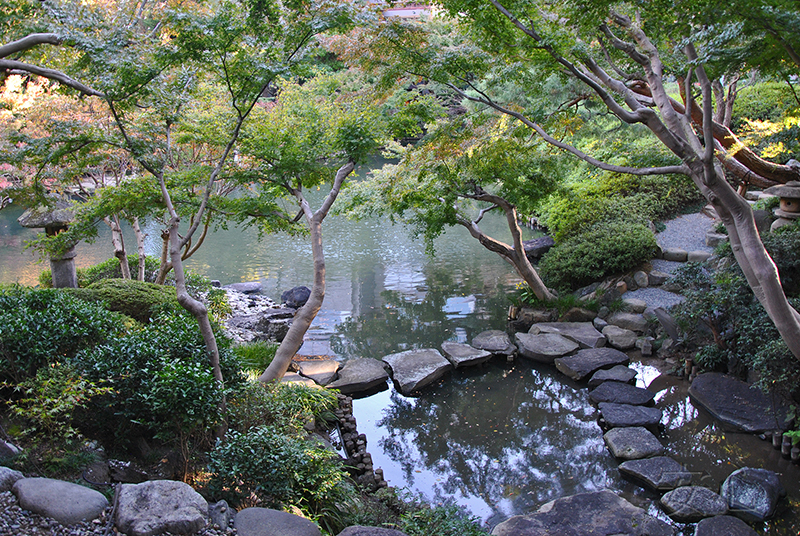 The lower part is a pond with some small islands on it, whereas the higher part with stone tracks is on the hillside. Another famous garden of ‘Silver Pavilion’ temple also has a two-tier structure with a pond in a lower part and a ‘dry landscape’ in the higher one. 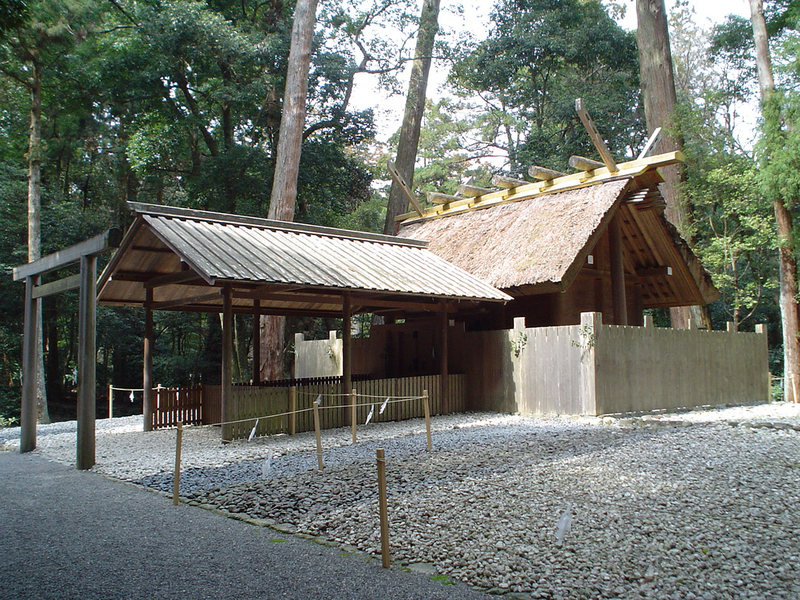 A path, consisting of three parts, leads to the temple of SilverPavilion. The first part is a path paved with stones, the second part is a long road of white gravel with trimmed bushes on both sides. 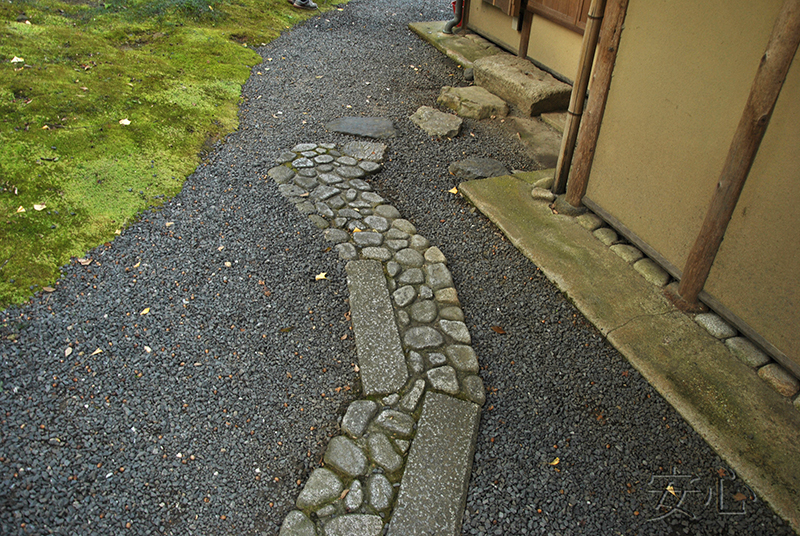 Finally, the third track, which is also made of stones, passes through a small courtyard with plants. 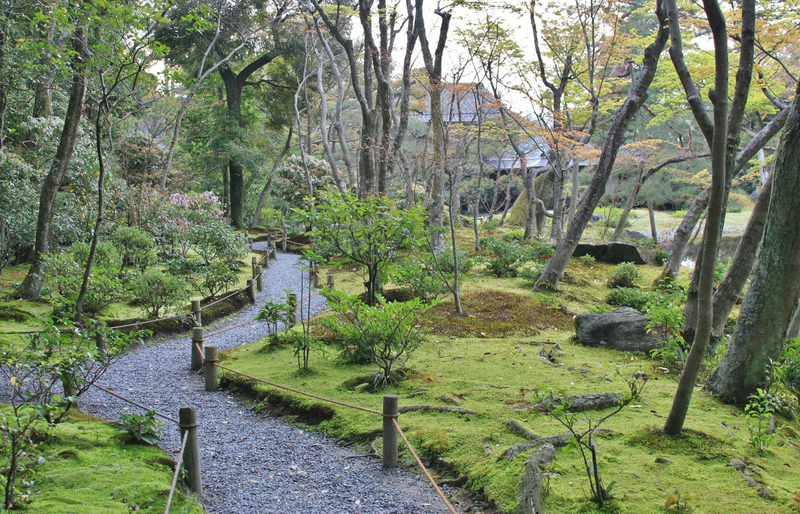 Paths became a very important element in the late Middle Ages when tea gardens began to appear. 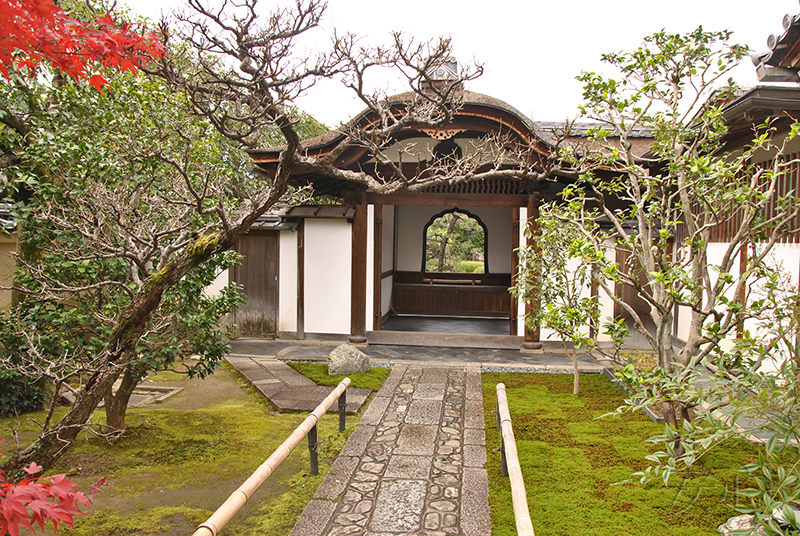 The way leading to a tea pavilion had to be long and hard to make the guests immerse themselves in an atmosphere of serenity and concentrate on their inner world. The people taking part in the ceremony had to go strictly on the track stepping from stone to stone. 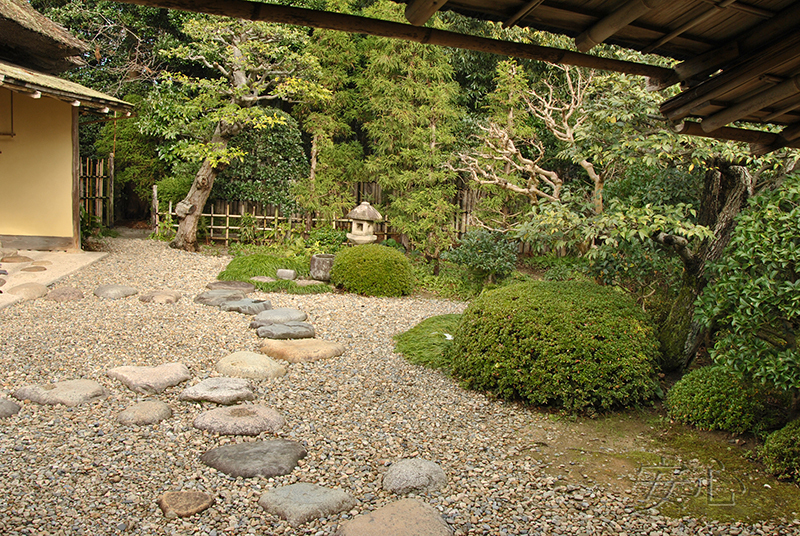 There is one more kind of paths in tea gardens - tobi-ishi. They are lanes with flat stones protruding above the ground. These stones are laid at a distance of 10-15 cm from each other. They are all at one level and at an equal distance. It creates a sense of continuity and the path fits perfectly into the garden. Tobi-ishi aren’t for walking fast so you should go slowly looking at your feet. When the guests come up to a big stone, they stop, raise their heads and admire the view in front of them. 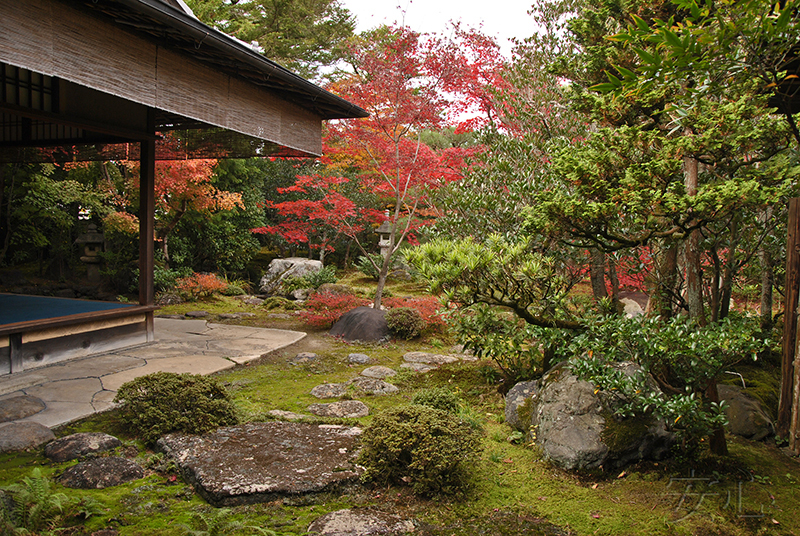 However, there are other types of paving in Japanese gardens. They are even mixed sometimes. 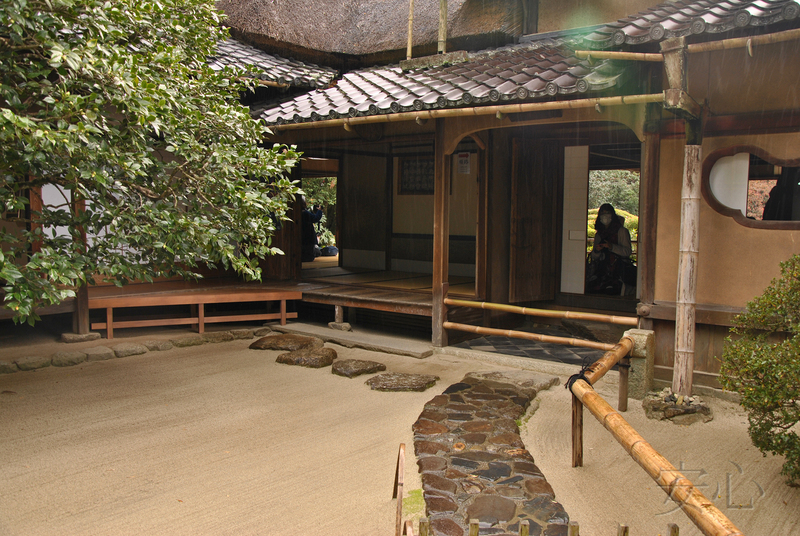 A tobi-ishi path can go into a stone paving (nobedan) with a big flat stone comfortable enough for looking around or performing a ritual (e.g. washing your hands). Stones of different shapes and sizes are used for nobedan. The main rule here is to find the right stones: the distance between them can be neither too large nor too small, besides the stones can’t make a rectangle. The history of paths went on developing in an era of Edo (1600-1868). It was connected with a new system- Sankin-kotai, which restricted travelling around the country not to mention travel abroad. 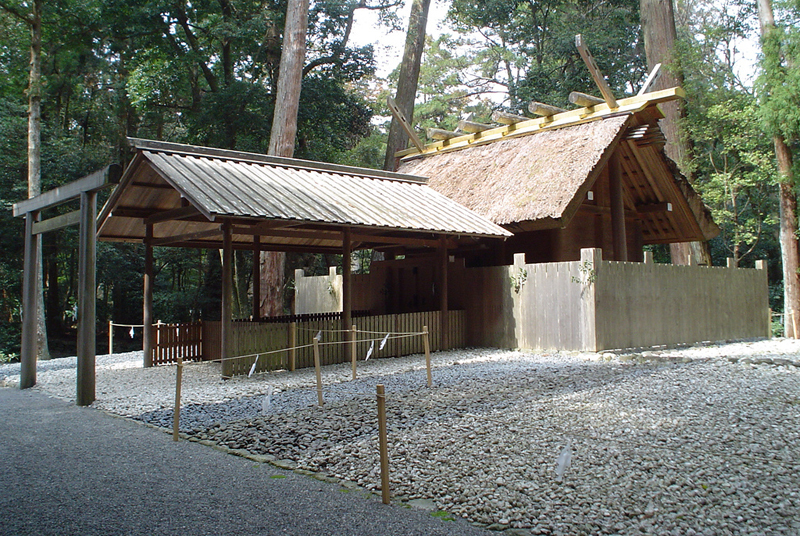 Feudal lords had to serve at the court of the Shogun in Edo. After that they left the court for a year leaving their families hostage. So, even rich people weren’t allowed to travel. All this reflected on gardens. Aristocrats wanted to have gardens in which they could make imaginary journeys. Designers created famous landscapes in miniature taking ideas from stories and pictures. At that time only the pilgrims could legally move around the country, whose stories were also used as ideas for the garden.So stroll gardens have appeared. They were called kaiyushiki. The goal of stroll gardens was to demonstrate the power and wealth of their owners and to entertain important guests by providing a constantly changing landscape composed of rocks, water, lanterns, flowers. The paths became especially important at that time. Now their main task is not only to cause a sensation of a long and interesting journey. Unlike the paths in tea gardens leading a guest into their own world, the tracks in pleasure gardens had to enthrall a traveler to unknown lands and even times. Those gardens were like a gallery with a variety of landscapes. The paths helped people understand where to stop, where to look around or maybe walk faster. So, continuous paving or gravel allows you to see a garden and admire it because you don’t need to look where you are going to. Gravel can also calm as its quiet rustle lets you relax. On the other hand, an uneven path, made of small stones which are at different distance from each other, makes a person concentrate on walking only without paying attention to the landscapes. When travelers suddenly raise their heads they see a completely different picture. 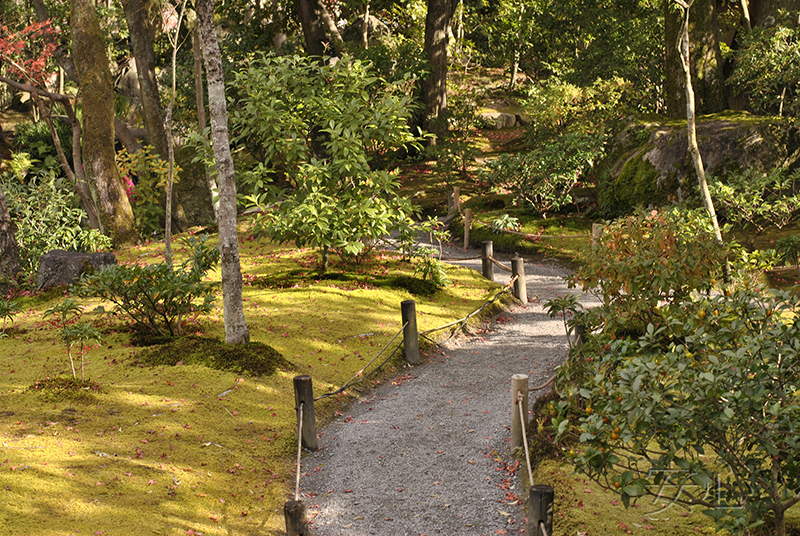 So, we made it clear that the paths in Japanese gardens are essential and every path has a particular meaning. 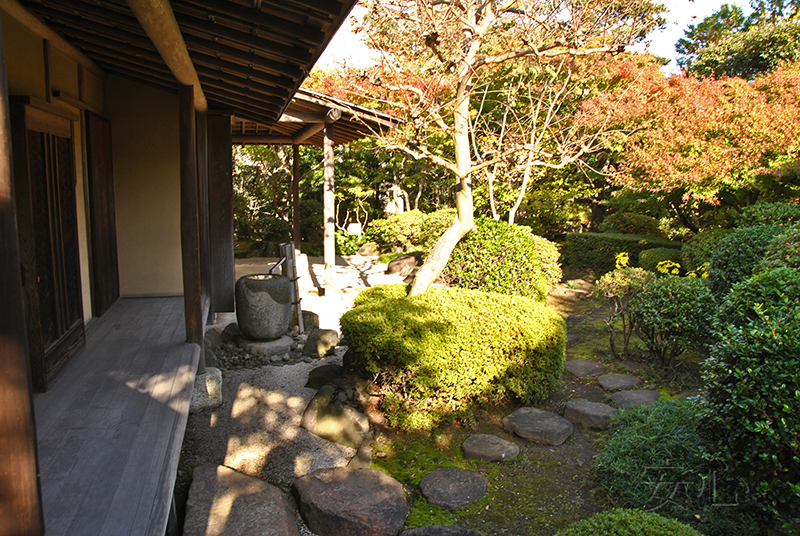 We now turn from the the history of to our gardens.If you want to make a path, first think about what you need it for. A path to nowhere looks confusing because its main purpose is to lead a person to a place or an object, which can be a pavilion, a pond or water basin, a rock garden or just a big and beautiful stone with a Japanese lantern, a bench or a parking place nearby. As soon as you realize it, think about the material. A gravel path looks good, it’s pleasant to walk on it and it’s ‘heard’. On the other hand, there are some disadvantages as well. First, you can’t wear heels while walking on such a path. So, if you are expecting to have guests, you should think of some alternatives. Second, the proximity to the pine trees or trees with small leaves is undesirable as you’ll definitely spend a lot of time in autumn cleaning the gravel from pine needles and small leaves. Finally, in spite of the geotextile protecting your paths from germinating weeds, there are seeds falling down onto a gravel path. Even though there aren’t as many seeds and they’re easy to get rid of, you should weed it from time to time or your paths will look untidy. 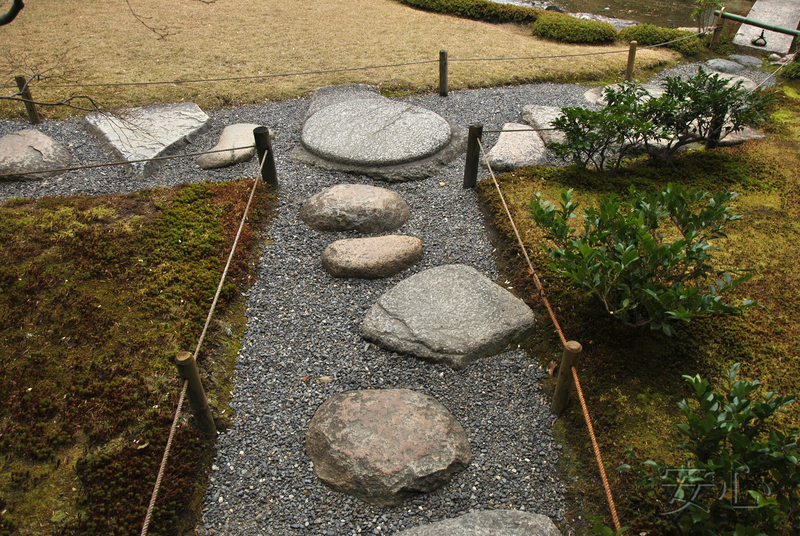 Stepping stone paths are the most suitable for a Japanese garden, but it’s really important to put the stones in the right way. All people walk differently, depending on their age, gender and even personality. Fast pace usually lengthens steps while walking slowly makes them shorter. So, don’t make tobi-ishi on the way to a shed or a toilet. 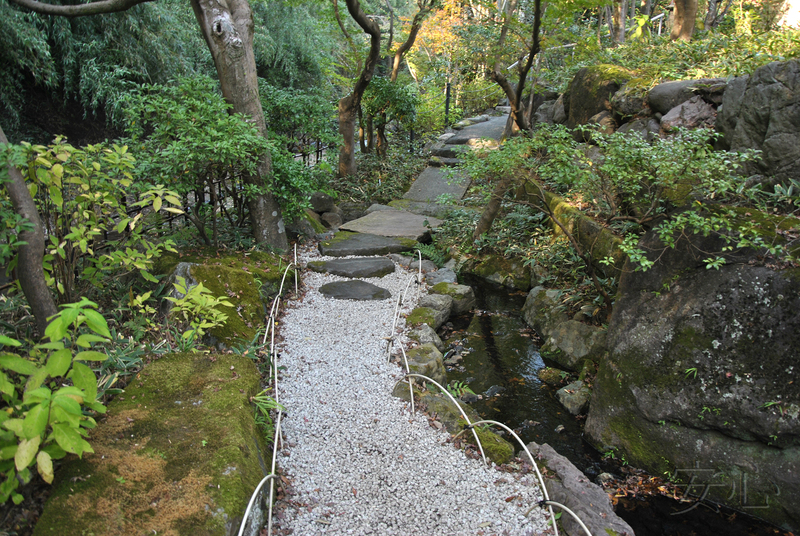 Such paths are for walking around the garden. The same can be said about paths from timber, the space between which is filled with gravel. It’s impossible to calculate one’s step width. As a result, walking on such paths might become really hard. These paths are worth making though. There are just several rules to observe. You can put the timber at a certain distance equal to three-four steps and then fill in the remaining space with small gravel. You can also use concrete for sealing or make a short path with the wide timber to make it more comfortable. The most appropriate variant is stone paving, but if you decide to change something in your garden one day, it’ll be difficult to do. Now, when the material is chosen, think about how you’ll pave the path. 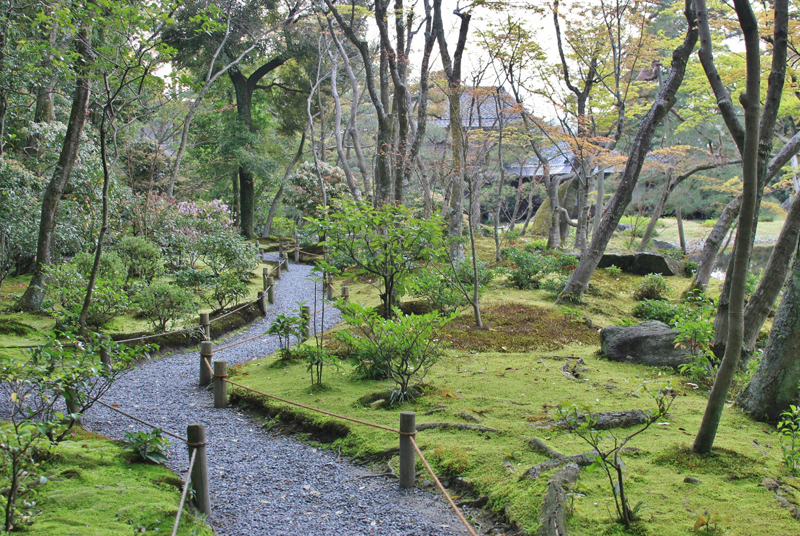 Straight lines aren’t popular in Japanese gardens. However, don’t go from one extreme to the other as a winding path on a small segment of the track looks ridiculous. Even if your path is long enough, it’s preferable to use a bush or a stone at every bending of the track. Moreover, if the distance is small and you wouldn’t like to see straight lines in your garden, shift the track slightly or make a small break.